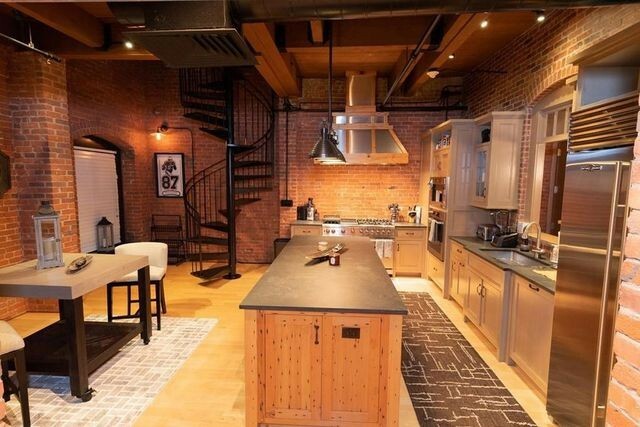 Retired New England Patriots star Rob Gronkowski has retired his Boston condo as well. 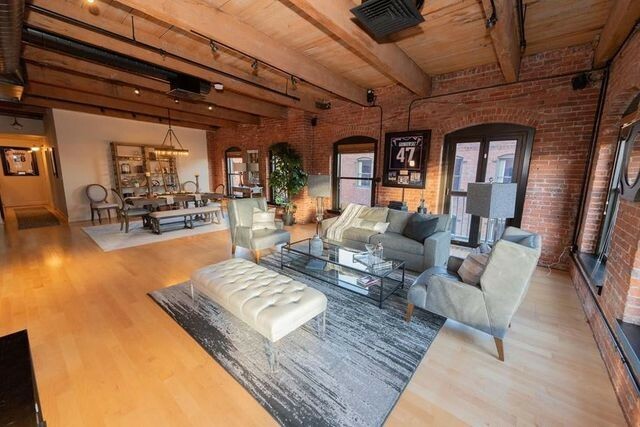 The Gronk has sold his corner penthouse for $2.3 million, according to TMZ. 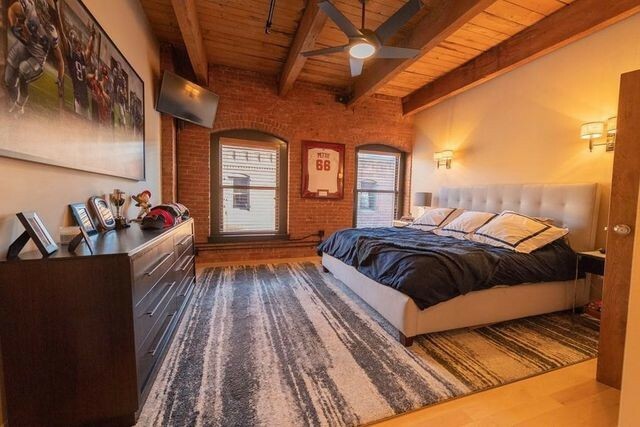 The 29-year-old former tight end purchased the unit in 2016 for $1.9 million. The buyer apparently picked up the 2,100-square-foot apartment for a price very close to the $2,375,000 ask. Spike the football! The urban retreat features sports memorabilia everywhere—including the walls decorated with framed jerseys and a football-themed painting. Even without the sports-themed decor, the space is worthy of further review. The open living and dining room features a Juliette balcony, exposed brick, and wood beams. The custom kitchen includes antique fir woodwork, an industrial hood, and a restaurant-grade Viking stove with dual ovens. The dining area comes with a breakfast nook. Next to the kitchen is a spiral staircase to the 340-square-foot private roof deck with city views. It’s a great spot for game day parties or just to lounge around with family and friends. 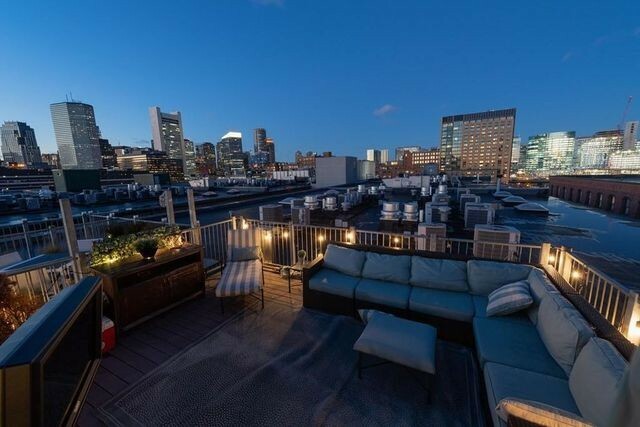 The condo comes with two deeded parking spots, and is located a few blocks from Restaurant Row in the Seaport District. According to our report last year, the three-time Super Bowl champion also owns a two-house compound in Foxboro, MA, close to Gillette Stadium. After playing his entire career with the Patriots, Gronkowski announced his retirement on Instagram last month. A fan favorite, Gronkowski was a five-time Pro Bowler and a four-time All-Pro. He’ll likely be headed to the Pro Football Hall of Fame when he’s eligible in five years. George Sarkis of Douglas Elliman represented the listing. 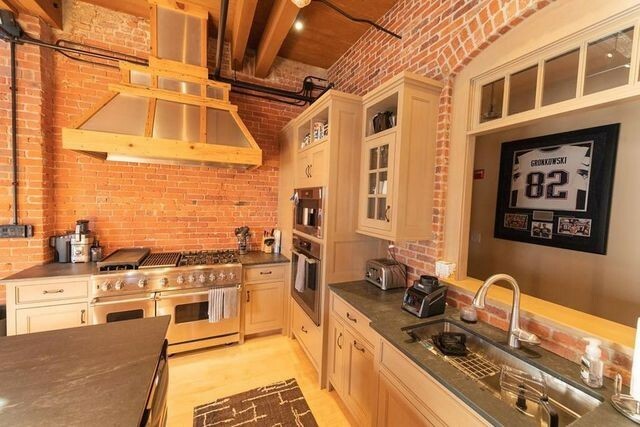 The post Retired New England Patriots Star Rob Gronkowski Sells Boston Condo for $2.3M appeared first on Real Estate News & Insights | realtor.com®.